A few months ago, THP sat down with Hiroyuki Fukuda from Nippon to discuss the different shafts that make up their entire lineup. Rather than tell you about it, here is a quick THP TV episode breaking down each shaft the company offers. Fast forward to today and Nippon seems to be popping up in fitting results on the THP Forum more than ever. THP wanted to continue to discussion on the brand overall and what better way to do it, than continue the new segment we call Quick Six. If you missed our previous Quick Six segment on golf balls, you can find that here. THP: The popularity of Nippon is on the rise and we are seeing them more both in standard options as well as after custom fitting results for THPers. What do you attribute that too? Hiro Fukuda: More consumers are asking club manufacturers for Nippon Shaft options as our tour and consumer usage increases. THP: How important for a shaft company is having a product that gets seen/used on tour? Hiro Fukuda: Very important as tour players are at the top of the pyramid of influence as their usage validates our designs and quality. THP: Can you talk about the manufacturing process that makes Nippon shafts unique? Hiro Fukuda: Each manufacturing step is constantly monitored for repeatable and reproducible results, similar to automotive industry quality assurance systems. Our proprietary raw materials are spring steels that are heat treated in our unique methods that result in a “softer” feel described by many users. THP: As manufacturing has gotten better, do you think the future is in lighter weights overall? Hiro Fukuda: It’s my opinion, that manufacturing quality alone is independent of light weight, however light weight shaft choices have become more available, mirroring tour usage. 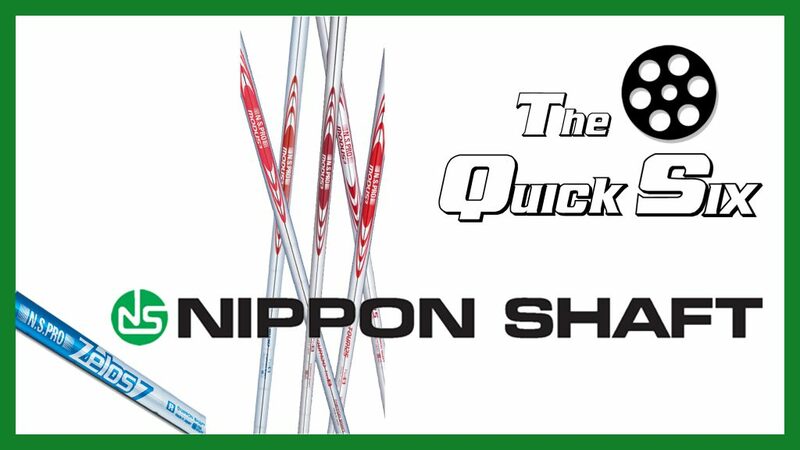 THP: Nippon is known mostly for their steel shafts, but the graphite options do exist. Do you think that line is overlooked and why? Hiro Fukuda: Yes, due to our poor marketing, lack of tour promotion and availability of many high quality, better promoted brands. THP: What does the future hold for Nippon as it relates to their products? Hiro Fukuda: We continue to challenge ourselves to make unique designs that meet tour and consumer needs. What do you think about the answers from Hiro? Have thoughts or opinions? Join us in the THP Forum where golfers are discussing this interview right now. Nice segment here, I can admit I didn’t know they made graphite shafts and while I’ve seen Nippon available during iron fittings it’s just one of those brands that has never came into the picture for me. Curious to know if they do or if there is any attempt to get them as a stock shaft into any major OEM’s iron models as I think that would help familiarize consumers with their product. Love the candid response about why consumers aren’t aware of their graphite options. Really wish there was more info available on their graphite iron shafts. Also find it odd that they only have R and X flex specs listed for those shafts on their website. The N.S. Pro 950GH shafts were my favorite steel shafts that I ever gamed but I bound to graphite from here on out. Like what Mr.Fukuda has to say. I also would like to see more information about their graphite iron shafts. At my age they are just about my only option!! Interesting responses to a couple of the questions. I’m a firm believer in Nippon, and anticipate they will remain my primary iron shaft in the years to come. Great six question segment. Interesting that he doesn’t think lighter weight is it but the focus is on quality manufacturing. Also very nice to see him being straightforward on what they need to work on in terms of getting the graphite offerings out there.